We are living in strange and chaotic times. Brexit, loonies on the verge of becoming president of the USA, the Middle East in chaos. But how did we get here? 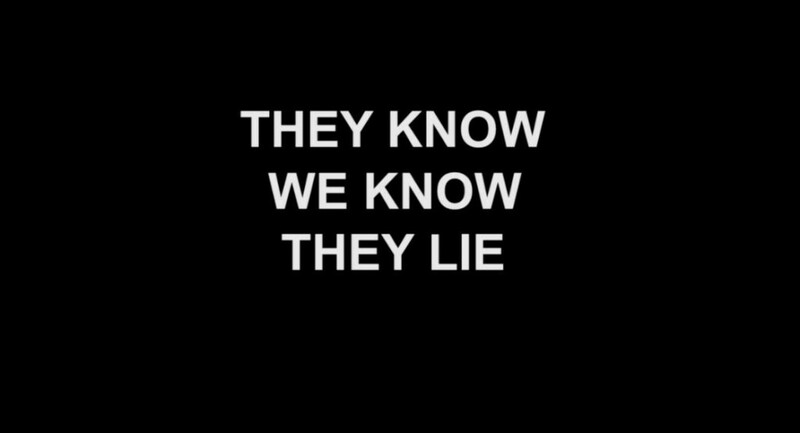 Hypernormalisation is Adam Curtis’ attempt at explaining all in one bite sized (166 minute) chunk. This is not his first bite of the cherry. In recent years he has made a string of documentaries that take moments from history that would otherwise just be random dots on the pages of the past and joining them up for it all to make sense. Taken as individual works his films present thought provoking works that push the viewer into questioning everything they have been told and to rethink how the world works. Events that most people would not connect are presented as pieces of a jigsaw that create a new picture of the world when laid next to each other. In this film, available only on the BBC I-Player, Syria, cyber activism, Donald Trump, suicide bombing, the occupy movement, Ronald Regan, Palestine, the bankruptcy of New York, Gadhafi, experiments with LSD, Facebook, the fall of the Soviet Union and a whole lot more are linked in a way that on the face of it makes perfect sense. Even UFOs and Roswell are thrown into the mix. The style is more art than documentary. Mixing sometimes grainy films from the 1950’s with bizarre webcam footage and modern newsreels, it is almost addictive viewing with you just waiting to see where the hell he will go next. One of the underlying threads of the film is that whilst well-meaning movements want to overthrow the tyrants that rule us, whether they be Middle Eastern dictators or the CEOs of giant global corporations, we have to be careful what we wish for. Overthrowing things we do not like is one thing, but if we do not have a vision of what to replace it with the vacuum will be filled by forces we would prefer were left in the box. Whilst we might have a general idea of creating something free and new, we are often not sure what it looks like, but forces like radical Islam and the far right have very clear ideas of what they want the world to look like and will be quicker at getting their act together. Another thread is that of Gadhafi. The film details how he is vilified when it is convenient for the west, but lauded as a hero when he is useful, then vilified again when out of favour. The real moral of this particular story, is that you have to question everything because we are constantly being fed disinformation so we do not know what is really going on in the world. The trouble is, many of these events being connected have been connected before by Curtis in previous works, with slightly different conclusions being drawn. Perhaps that is the whole point. Here are some dots that can be joined this way, or maybe this way – now have a think about it and draw your own conclusions. Just do yourself a favour, watch this and then check out his previous works.